Powered by a low emissions engine, the new SH 86 C-E professional shredder vac/blower has increased vacuum power and shredding performance that will blow you away. Fuel efficient and operator-friendly, this shredder vac easily converts into a handheld blower. 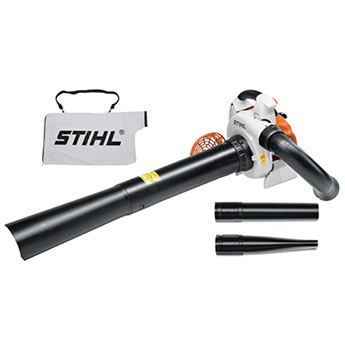 Equipped with features like a special shredder blade on the fan wheel that reduces garden waste, along with the STIHL ErgoStart system, soft grip handles and a four-spring anti-vibration system — you have all the necessary comfort elements to ensure a smooth start and help reduce operator fatigue.